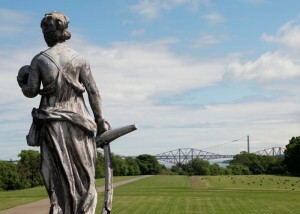 Today we heard the fantastic news that the Forth Road Bridge has finally been awarded World Heritage Status by UNESCO. This iconic structure is the world’s longest multi-span cantilever bridge and opened in 1890. It has been part of Hopetoun’s view for 125 years and we feel very privileged.